This thread was the whole reason I used to come to the forums. For those that don't know/remember, its for asking those 'little questions' that don't require their own thread. Is this the right spot for it? Maybe. My question: The character art for Aetolia shows a lot of races that -aren't- available. Is there any sort of general window when those neat bears and such will be playable races? bears would be bahkatu? perhaps? could you perhaps provide the url of the art? I can't seem to find anything that isn't there? Presumably this is what is being discussed. My understanding is that these will be released as part of the new continent. Yeah, I see your point, and yeah those races should be released if planned. Anyone know what the purpose of the rotting, corrupted Elm under Bloodloch is? And what's up with the dwarven excavators nearby? I'm pretty certain that elm is from an old, old event, but I don't know the circumstances behind it. Lleis planted that Elm in Bloodloch when the city pissed Her off. She also gave them STD's. on what's left of my sanity." A Dwarven excavator says, "Please, I can not work anymore, let me be!" I know this is a complete noob question, but as I have never been a combat-oriented person, I really don't know the answer and I didn't see it anywhere in the PK guidelines. If someone kills you and you starburst, and they kill you again, is it the general guideline that that only counts as one death? That seems ridiculous to me considering that both times you lose the experience and, if you're in an order, essence, but I can see the argument from both sides and was just wondering what the commonly accepted rule was. As far as PK goes, you're only considered 'dead' when you're sent to the Halls (or made to reform body as undead/vamp). Pretty much that. Being killed through your various death-cheating abilities is very commonplace. What is a maximum bashing DPS of a fully arti-fied Tekura user? Or what is the equivalent, if Tekura is not the best for hunting? How do you define fully arti'd? +3 str, level 3 knuckles, level 3 class hunt? Mmm. Yes. Anything that affects damage and speed for bashing. Which to my knowledge, would be just those, right? Do hunting arties have to be wielded, or just in inventory? AND, when it says, "Provide a bonus of 5%, 10%, or 15% to the damage done by slashing attacks on mobiles." does it really mean only slashing (bladed) attacks? If so I'm super sadfacing over that. Well they did say they generalized the hunting boons to work for all damage attacks for that class, so it -should- work for your hammer. I would however, double check with Raz on that though. Mine's power is in my inv on my artie dagger. The help file (from before the change, though I don't think the change itself would affect this) didn't say anything about it needing to be worn, and I checked that with several people. Yeah, HELP ARTIFACT POWERS doesn't show the hunting boons as requiring to be on weapon, or to be worn. Inventory holding should be fine as far as that matters. If you do find out from @razmael about the blunt damage bashing, please share! Is there a quick way to tell if a mob is sentient or not? Well, the easy way is to attack it and shield. If it hammers you, it's sentient. But that might not always be the safest or smartest thing to do. Can we pleeeeaaaasssseee have Knife Girl back? Replace that crying angel to the left with her. I mean, how many people started playing Aetolia JUST BECAUSE OF HER? I think that you can judge that depending on how they react when you spam greets at 'em too. Your muscles have recovered enough for you to be nimble once more. Edit: Nimbleness ability in Avoidance apparently. Never used it before! 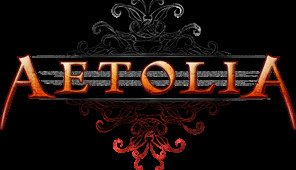 I'm planning on spending the holidays with a friend this christmas and we both play aetolia. Is it okay to both be playing on his wireless if we are both on different computers or will that bring up some weird flag like we are alt'ing? As someone who lives with another Aetolian, no. You'll be fine, they'll see you're on the same IP, but as long as you're registered to you know..yourselves, there shouldn't be an issue. If they question it, they'll just ask you. Yea, I've lived iwth another Aetolian and played on the same connection as others, it's never a big deal. For the record though, the pools will get dinged every time a new connection on the same IP shows up. They get a little message saying "Seconds check on xyz!" The max was four: myself, Keshena, Baragor and whoever the hell our roommate Joey was. They actually sent concerned tells to us before we straightened it out.